Regular readers will know that during my Natural Beauty Week I showcased a number of cruelty-free beauty brands such as Pure Chimp, Green People and Balance Me. My favourite discovery during this week was Bee Good, an award-winning company that are proud to be the only British premium skincare brand to exclusively harness the natural healing powers of British beeswax, honey and propolis. Check out my review of their Honey & Camelina Facial Exfoliator and Honey & Propolis 2 in 1 Cream Cleanser here. I was lucky enough to receive the Mix It Up Lip Duo gift set (£9.50) for Christmas which contains the Vanilla & Honey and Raspberry & White Chocolate Lip Balms, which can also be purchased separately. The lip treatments are deeply nourishing, ridiculously delicious and give instant relief to chapped, sore and cracked lips. While the vanilla and honey version has an almost baby powder scent to it, the raspberry & white chocolate version reminds me of the sauce the ice cream man would drench my 99 with at the park during Summer. 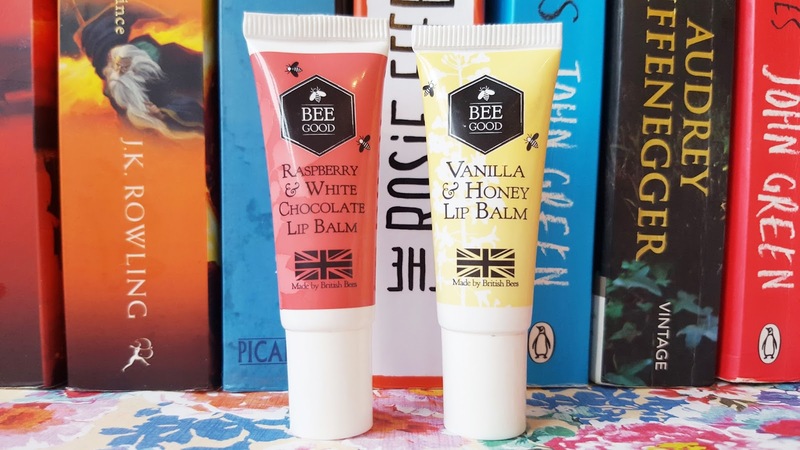 This combination was actually the result of the Bee Good Great British Lip Balm Competition in 2015 and was inspired by beauty vlogger Joseph Harwood. Both balms contain British Beeswax, Borage Oil (a rich source of strengthening fatty acids), Echium Oil (to help replenish dry skin), Crambe Oil and British Wild Flower Honey. These two balms have proved essential over the past month. The trio of plant oils helps keep my lips soft and protect them from the harsh weather we’ve been having whilst providing a deep conditioning effect that is both long lasting and soothing. "Soap & Glory Love at First Blush Review"